Mandy has been away from home for five years. It is only after learning that her mother has passed that she returns to learn the conditions about inheriting the family's Bed and Breakfast. She doesn't understand why her mother left her the business instead of her twin, Arie. If she can keep the business going and turn a profit for a full twelve months, she will receive her full inheritance. Once done, she plans to sell the place and return to her life among the Englisch with her own florist shop. Her plans sound easy but one by one her help leave her to man the business alone. Never a cook that could offer the sumptuous meals offered by her mother, she needs to get help or lose the business. Help comes from the most unlikely source and proves that one can never judge a book by its cover. This is a heartwarming story of forgiveness and renewal. 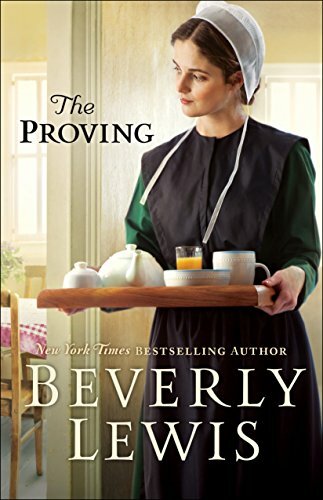 Written in a style only Beverly Lewis can give it is a book worth adding to your collection. You will come to love the spirit with which Mandy grows not only in her heart but also her faith. The only missing from this book were the recipes to the amazing sounding recipes served up every day at the B and B. Reading A Plain And Sweet Christmas was a bit of a change for me. 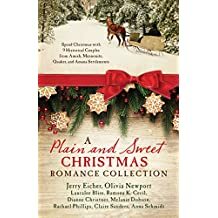 This historical novella collection is filled with the stories of nine couples set in the Christmas season. Take a break from your typical commercial holiday faire and relax with this collection from Amish, Mennonite, Quaker and Amana Settlements. Treasure of the Heart by Melanie Dobson, set in the Amana Colonies was particularly fun for me. This treasure in Iowa is largely preserved and rich with history. I have visited the area several times and I could visualize each place mentioned in the story. It is a fun place to stop into if you are ever in the Cedar Rapids area. Each story gave insight to individual struggles the couples had to bear whether from their past or trials they faced within their faith. Although set in days gone by, many of the themes resonate today. Whether it is facing a separation due to war, helping in the Abolition Movement or leaving the life of a pirate for a newfound faith, the characters are easy to identify with. Even with seemingly insurmountable obstacles, all were wrapped up neatly like a bow on packages under our trees. Consider picking up this book for a change of pace from the aforementioned movies. These are not cookie cutter formula stories and you won't have to suffer a large dose of commercials! Bookshelf worthy with five stars.